This is a durable, nylon tube fitting that replaces a failure prone, OEM adapter. 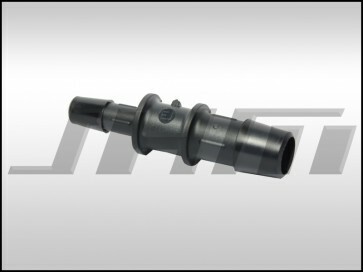 This reducer fits between the "F" Hose and the 90 degree elbow that connects to a one-way check valve. This is a great piece to replace when replacing your "F" Hose as the OEM/factory plastic often becomes brittle due to heat and age. Fits all pre-2002 2.7t engines with the F hose. 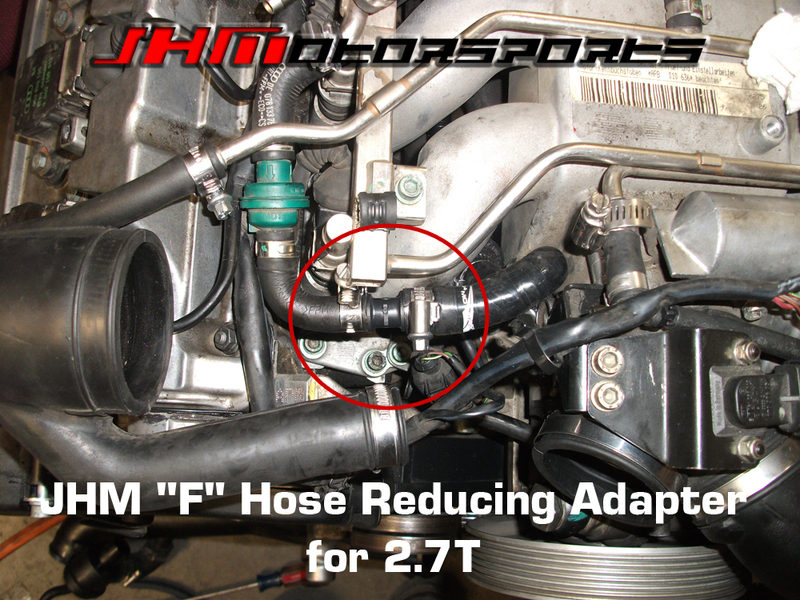 The "F" Hose is located near the throttle body on the passenger side of the motor, slightly under the intake manifold. See picture below for the location of the adapter.